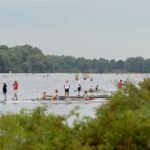 The committee and members of the Mercer Rowing Club, supported by the Legion of Rowers, extend an invitation to clubs to enter their Masters’ Regatta. Come and see what the Waikato is like in the middle of winter! Mercer Rowing Club Inc. ASB Account Number: 12-3023-0465963-00 Important! Please email confirmation of payment to pballe@gmail.com for quicker registration. All rowers must have paid their entry fee to be allowed to row. Entries must be made online via the rowIT entry system. Entries open Monday July 16 and close 10pm on Sunday August 5. Late entries will be accepted until 8pm on Thursday August 9. Boat park: the amount of parking available will likely be limited due to wet conditions in the paddocks surrounding the Mercer Rowing Club. 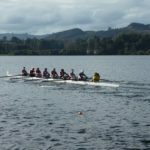 Cars might be directed to park on the Counties Manukau side of the river, with more information to be provided closer to the regatta date. Boat trailers will be accommodated around the Mercer and West End sheds. Please come ready to be flexible! All rowers are asked to car pool as much as possible to maximise parking space. No parking on the road on the Mercer side please – it is a 100kph zone and heavily loaded trucks cannot stop quickly once they come around the bend and down the hill. Launch and recovery of skiffs will be from limited beach space so feet (at minimum) will get wet. Racing is scheduled to start at 9.00am. Safety meeting at 8.15am for all clubs and single scullers in particular. There will be hot food and drink for sale in the Mercer Clubrooms – please support our fundraising efforts!